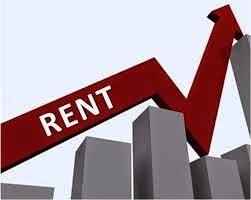 If you are not already aware of it, the cost of rent throughout the country has reached record levels and is becoming a serious concern for many. One would imagine that this situation would increase the number of renters entering the home buying market as a solution to the problem but actually the opposite is true. It seems counterintuitive to say that higher rents would actually hurt the housing market but the truth is that many renters simply cannot afford to save enough money to make a down payment on a home of their own. According to the latest Zillow Home Price Expectations Survey 52% of people surveyed felt that the situation would, in time, correct itself and would not require any type of government intervention. Surprisingly 35% of the participants felt that rising rents are not a concern but for many people the problem is twofold: Rent that is becoming unaffordable as well as the inability to save enough money to make a down payment on a home. In essence, they are “stuck”. If you recall, President Obama made an announcement last month that he would like to see reduced premiums for FHA mortgage insurance rates for middle class home buyers. While this would indeed help the situation it is doubtful that the savings would be enough to offset the high cost of rent. 66% of the survey respondents felt that a decrease in the premiums would be "somewhat effective in making home ownership more accessible and affordable" but 49% considered the proposed changes to be unwise and potentially “risky” for taxpayers. Regardless of your opinion of the proposal, the bottom line is that unless a dramatic change occurs in the rental market many potential home buyers will simply not be able to finally purchase a home of their own.